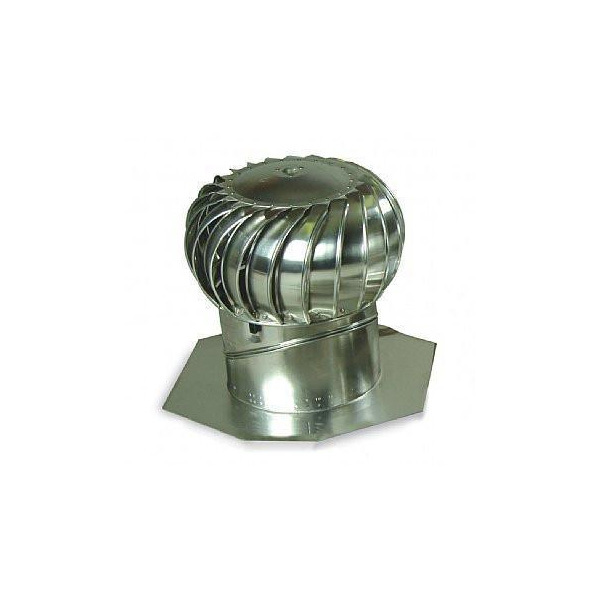 This 12″ aluminum turbine vents 600 square feet when used with 300 sq. in. of eave or soffit vents. Sold with a strong galvanized adjustable base to fit most roof slopes. All aluminum wide mouth hood includes standard tail piece. Vent is 4" in diameter and it allows a full 4" opening, and is dampered. 10 per case. 4" Black plastic roof cap, made with a positive connection for ease of installation, is ideal for areas where condensation is an issue.